Swapna and Nidhi @ Manchester as Visiting Students..
Swapna and Nidhi from NS group Reached Manchester!! 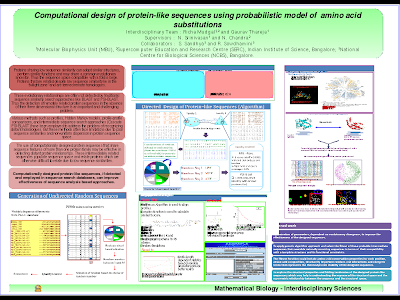 QuteMol: high quality molecular visualization system !! >high quality molecular visualization system. 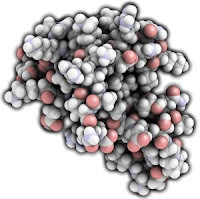 the 3D shape and structure of large molecules or complex proteins. the best in this program. 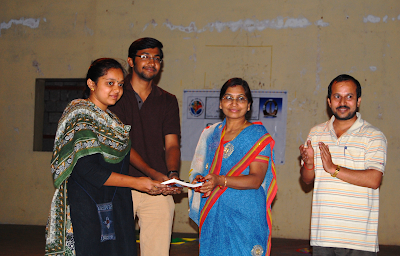 Mysore Trip with Mr. James Kitchen..!! 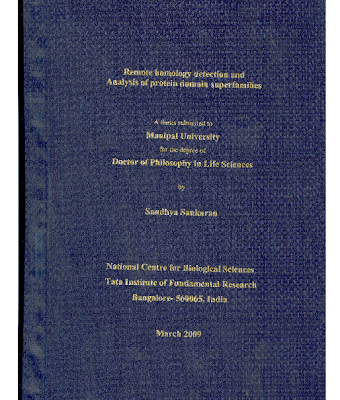 Sandhya Sankaran submitted her PhD Thesis!!! Informal seminar by Mr. James Kitchen -19 March 2009 !! 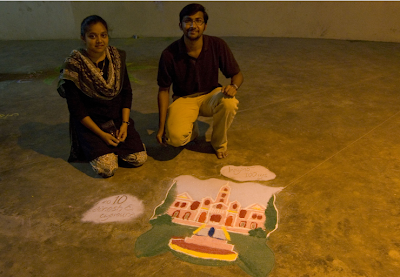 James Kitchen a new visting student has joined NS group..
Rangoli Competition @ IISc 2009 !! 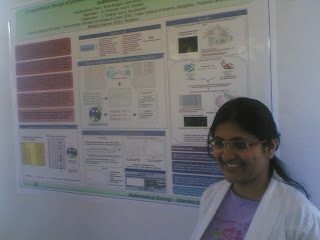 Dinesh D C and Yamunadevi S from NS group bagged second prize..
"Computational design of protein-like sequences using probabilistic model of amino acid substitutions"
1Molecular Biophysics Unit (MBU), 2Supercomputer Education and Research Centre (SERC), Indian Institute of Science, Bangalore; 3National Centre for Biological Sciences (NCBS), Bangalore.